KiSSe gives life to children’s artwork and small works of art. Christina Altuna, a fashion designer, has created KiSSE to be a creative reference in children’s fashion. The drawings created by her children Karl, Vera, and Serena, are inspired by the stories created by her husband, the Danish writer Jens Peter Kaj Jensen. Passion, dedication, and honesty summarize his work. The sensitivity that derives from the drawings of the small ones, makes the originality of the mark. All the garments are produced in the Iberian Peninsula in a sustainable way, paying special attention to the quality of materials, fabrics, and finishes. Every detail counts; the buttons used on the garments are handmade with branches from olive tree, eucalyptus, and boxwood. 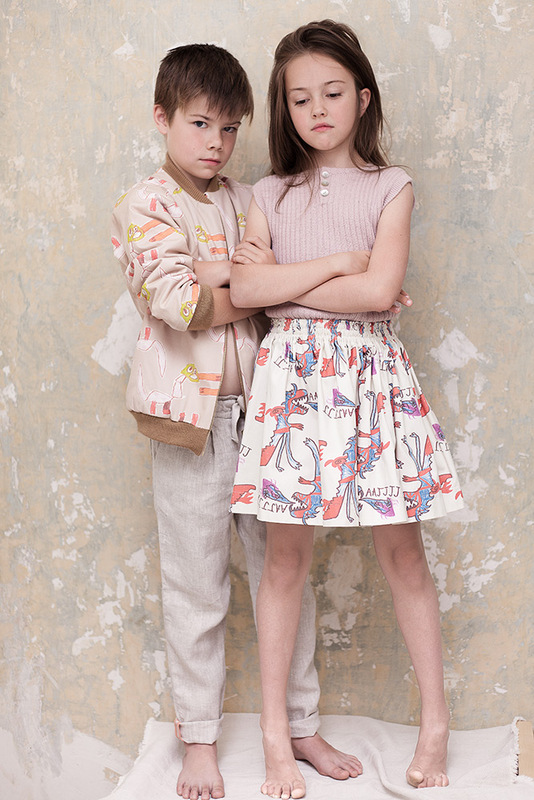 The cuts with volume, the quality of the clothes and the design make KiSSe a brand made by children for the children!